Women In Retail Leadership Circle | WIRLC Partners With Innovation Women! WIRLC Partners With Innovation Women! Hello Inner Circle readers! I have some exciting news to share! Women in Retail Leadership Circle (WIRLC) today is announcing a partnership with Innovation Women, a digital speakers bureau designed to connect women with a wide variety of visibility opportunities. Innovation Women was founded in 2015 to provide gender balance onstage at conferences and events. The bureau handles opportunities for both paid and unpaid speakers, providing visibility for themselves and their organizations. Unlike a traditional speaker bureau, invitations go directly to members of Innovation Women. Speakers keep any fees accrued. 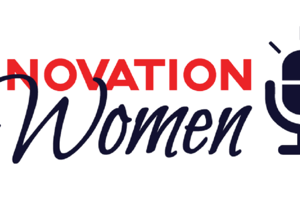 Innovation Women offers a variety of opportunities, including featured speakers, panelists, fireside chats, startup pitch judges, day mentors, among others. Currently, Innovation Women has more than 4,000 members and has placed speakers internationally at conferences, corporate events, universities and more. As a benefit to its members, WIRLC is offering access to join Innovation Women at a discounted rate to foster the importance of diversity and inclusion at industry conferences and events. P.S. I read a great article over the weekend about the lack of women speakers on the event circuit (check it out here), and was pleasantly surprised that Innovation Women was mentioned in the piece. Woot woot! New Associate Member Spotlight: Kim Dixon, EVP and COO, FedEx Office Here’s to Women Keynote Speakers! Introducing Jasmine Bellamy, WIRLC’s Diversity and Inclusion Director! Way to Go Chico’s!